Rugby and beer go together. There’s nothing like an ice-cold beer after a hard-fought rugby game. It soothes your aching, wounded body. It makes you relax. After a couple of beers, you feel strong again, almost ready for another game or some other adventure. That’s the problem with alcohol. It clouds your judgment. It makes you think you are a different person than you really are. Maybe that’s part of its appeal. We can escape our lives and be someone else, even it is only for a while. I used to enjoy a beer or two after a game, but I saw too many rugby players (and others) become a little too adventurous for my liking, to allow myself to get into that situation. We just celebrated Purim. On Purim, we also drink and we also pretend we are someone else. We dress up in costume. But there’s a very important difference. On Purim, we are trying to find out who we really are. We are trying to strip away the external layers which hold us back from getting closer to G-d. That’s why when a true talmid chacham, a Torah scholar, drinks on Purim, what comes out of his mouth is no different than on a regular day. Because who he is internally, is exactly who he is externally. At JET, we meet and develop relationships with college students and young professionals who are trying to figure out who they really are. That is difficult in today’s confused world, and even more so on a college campus. When I was a college student, I had a big poster on the wall in my dorm at the University of Cape Town with the words: “Man does not live by bread alone,” emblazoned on it. Underneath was a photo of a beer mug filled with beer. When I go learn Torah with my sons at Telz, I pass by Northeastern University. Only Foster Avenue separates these two institutions of learning. But there is a world of difference between the two. 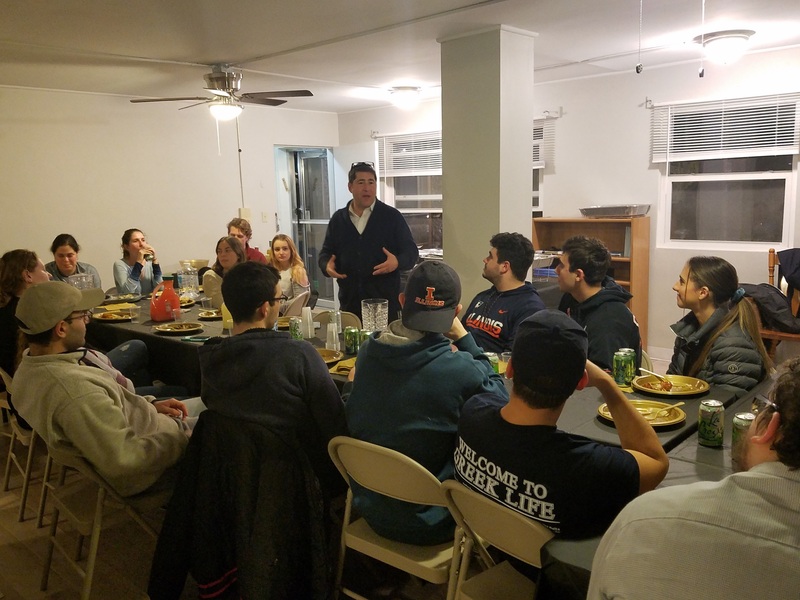 Two and a half hours drive south of Telz is the University of Illinois – Urbana/Champaign, home to over 30,000 students, of which about 3,500 are Jewish. 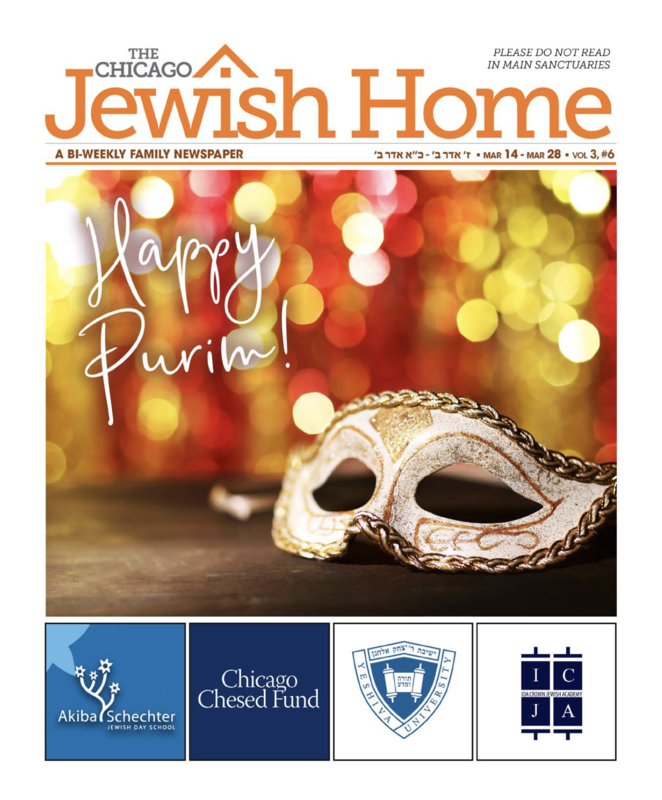 And where the new JET Home hosts students for classes, Shabbat meals, and soon for the Pesach seder. For the past 9 weeks, my wife and I have been making that drive once a week to help our new couple, Rabbi Mordi and Tehiya Rubin, with the Maimonides Leaders Fellowship. 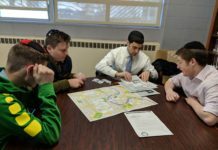 Fourteen students are taking this 2 ½ hour a week crash course in Judaism that includes topics such as G-d: Permission to Believe, Free Will, Israel, and the Jewish connection – as well as a delicious kosher dinner and a chance to schmooze with fellow students. 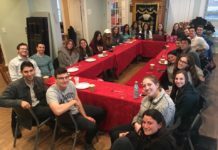 Maimonides students recently spent Shabbat in West Rogers Park. Our goal is to give our students a taste of the beauty of an engaged Jewish life. We want them to know that being Jewish means more than being part of a religion, a race, a country, a culture. It’s about a relationship. It’s a relationship with G-d, with fellow Jews and non-Jews, and a relationship with oneself. Ziv: I want to reconnect with Judaism and incorporate it into my daily life. Coming to college has separated me from the Jewish community and I am greatly missing that. Zach: I hope to increase my involvement in Jewish life as well as open up the doors to more leadership opportunities and be a connection for other students looking to be more involved as well. Jamie: I used to love learning about the Torah and different Jewish traditions in Hebrew School, but I have forgotten a lot since then and would love to be more informed about different aspects of Judaism. 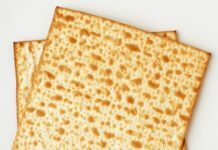 We are approaching the holiday of Pesach, the holiday that celebrates our freedom. Not unbridled freedom to do whatever we want to do. Freedom to develop a relationship with G-d, our fellow Jews and ourselves. Let my people go – become the greatest Jews that they can become. Next articleYOUR MISSION: Sell Your Seder.